Do you take a Canoe with you on camping adventures? 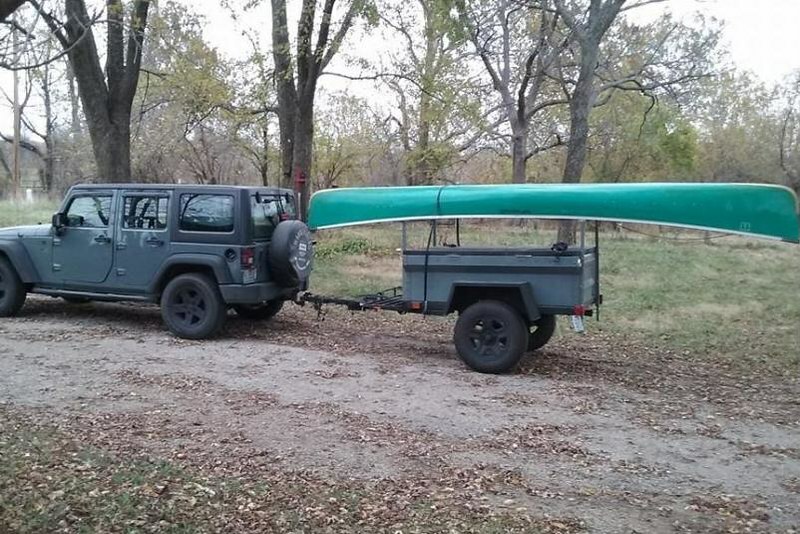 Here is Ray's M-Series M416 trailer setup for hauling his canoe. 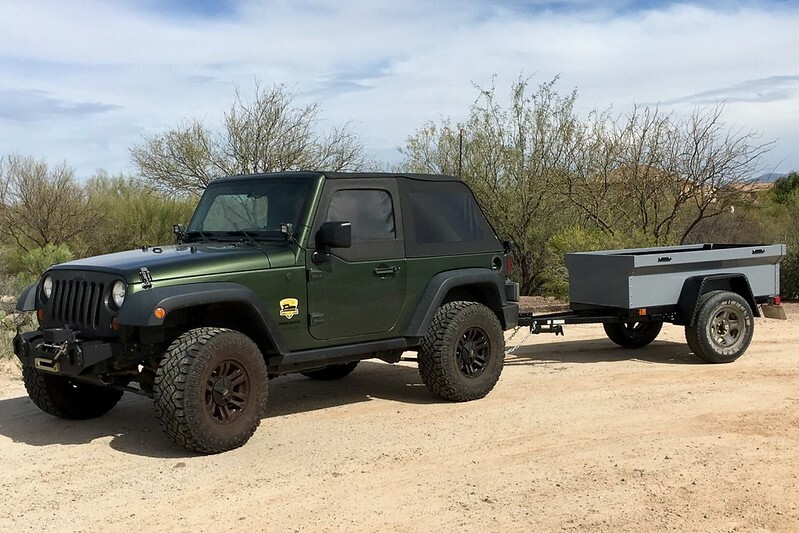 Here is Jason's M-Series M416 trailer. 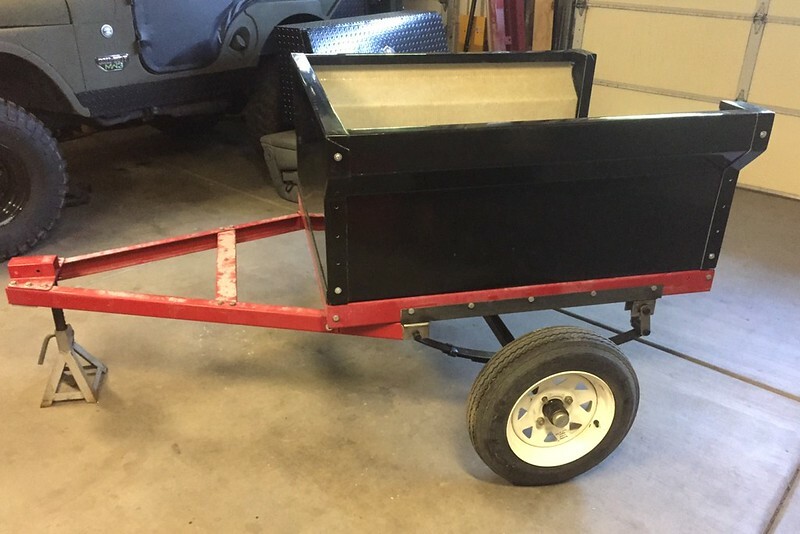 It has a shortened 5' long tub and is setup as a Kayak Trailer. 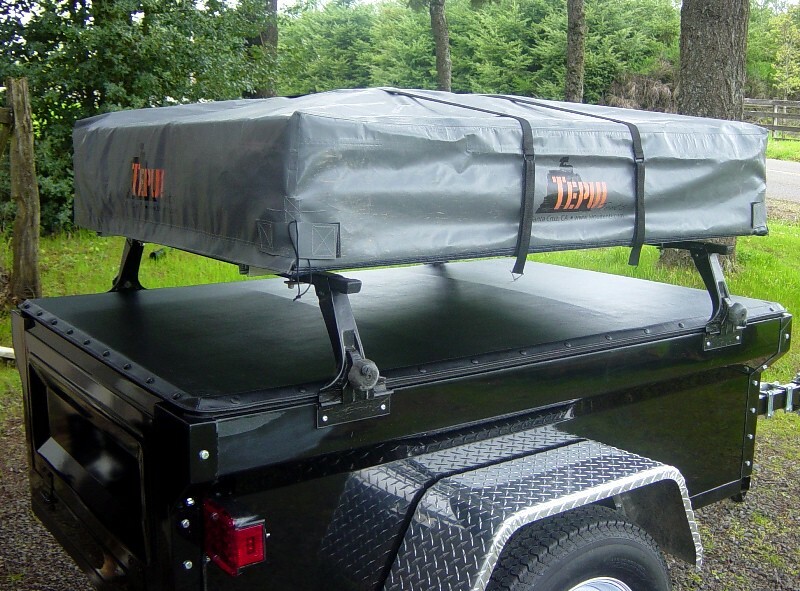 Here is a nice shoot of the Soft Tonneau Covers with have available for the M-Series M416 trailers. Tony's M-Series M416 trailer finished up and loaded up for its first trip, a 725 mile haul to Rausch Creek Park. 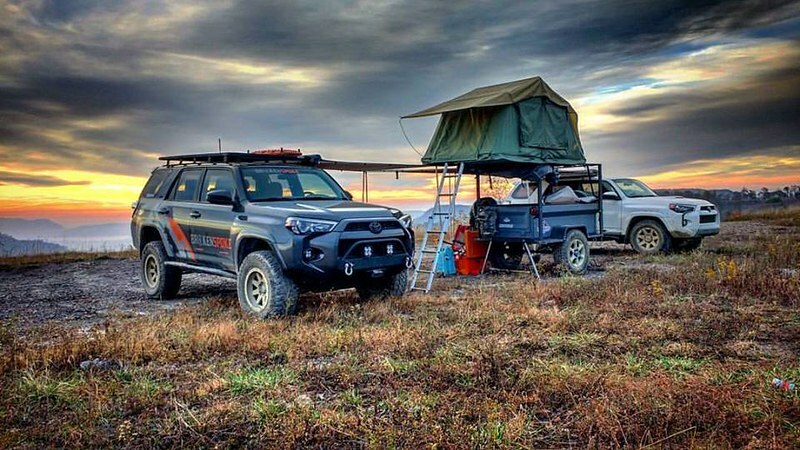 His pictures highlight nicely you can cover a Dinoot many ways; he tarped his, above is the soft tonneau cover we offer and we show how you can make a hardcover. Here is another "have it your way" example post. Notice how Brian set his fenders higher than most and trimmed them to the side panel shape. 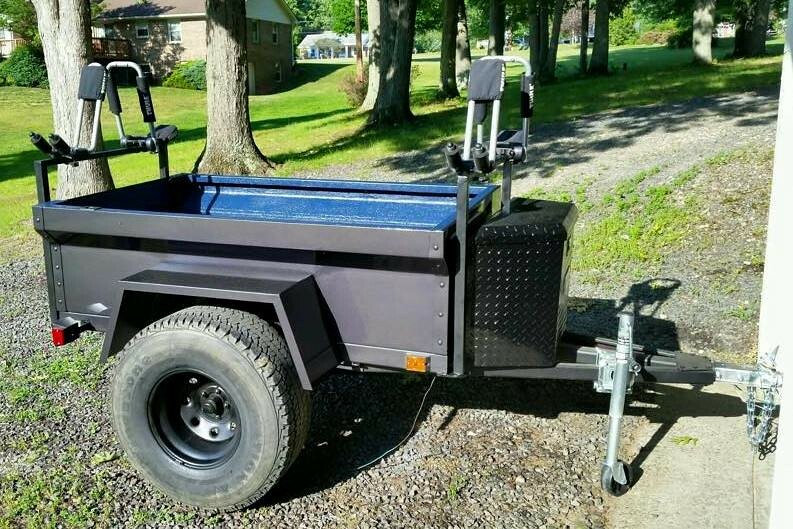 This always his M-Series M416 trailer to ride lower on big tires. 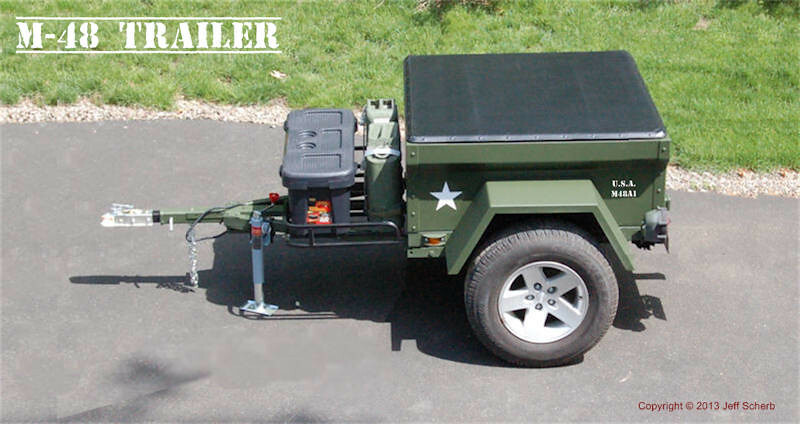 Islandgirl recent posted about her M-Series M416 Trailer Build in Canada. 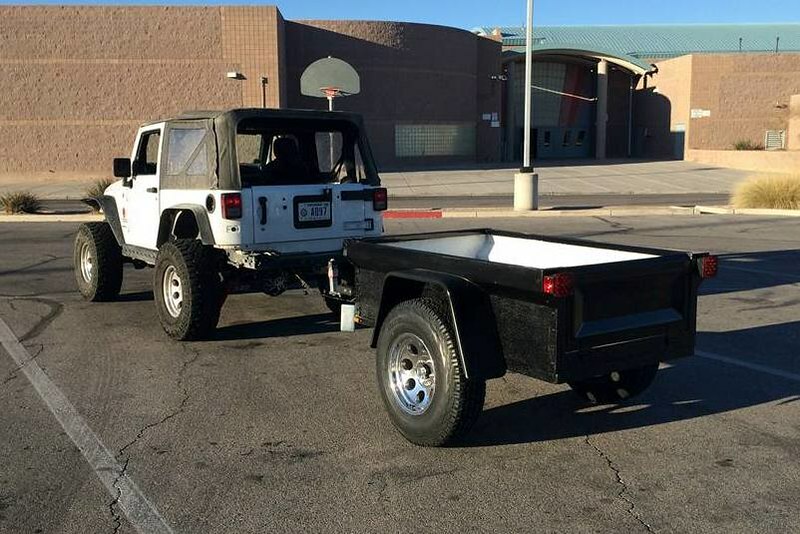 It's a nice matching M-Series for her Jeep which is named "Bam Bam III", the trailer has been named "Pebbles". 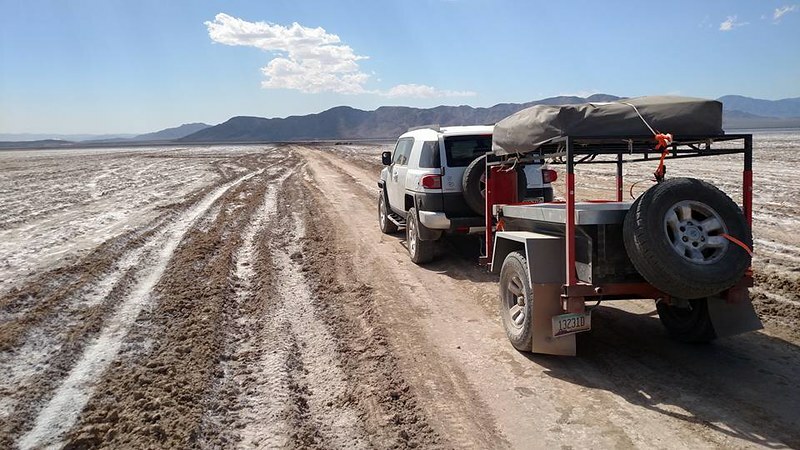 What it is all about, first having the enjoyment and satisfaction of a creating something with your own two hands like Jorge did with his M-Series M416 trailer. Then, hooking up, heading out and the enjoyment of using it. 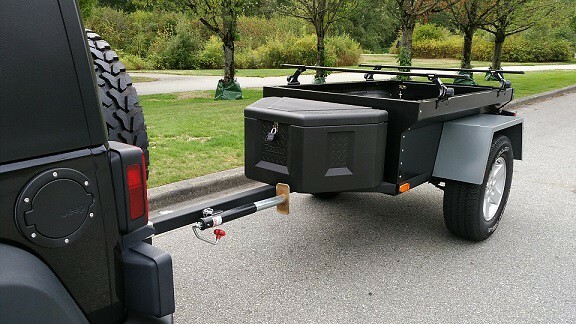 Great out & about shoot of Michael enjoying his Tent Topped M-Series M416 trailer.